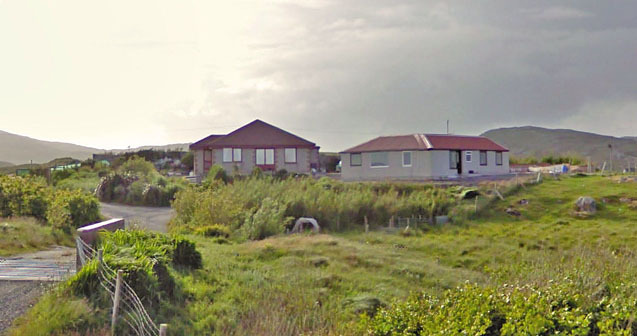 Barra Holidays is an established holiday park on the east side of the Isle of Barra, bringing together a caravan park, campsite, self catering holiday cottage, 8 berth caravan and new lodgings with self contained kitchens and ensuite rooms. Barra is the most southerly island in the Outer Hebrides, famous for its beautiful white sandy beaches, scenery and rich history. There is excellent all year round shore and loch fishing, hillwalking and nature trails. A great site for bird watching and astronomy. Wildlife seen from the campsite includes; seals, otters, basking sharks, corncrakes, cuckoo, buzzards, white tailed eagles and golden eagles. On a clear day there are excellent views over to Skye, Canna, Rhumm, Eigg, Muck and Tiree. Watch the beautiful sunsets and sunrises or take advantage of the clear night skies and try a bit of star gazing. 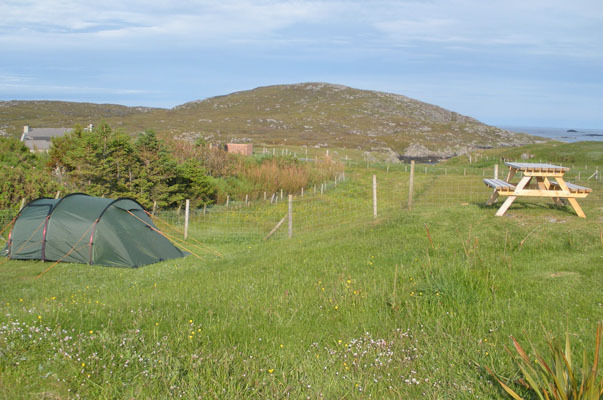 The campsite is perfect for adventure breaks and is just a short drive from Castlebay, the airport and beaches. It is also served by the local bus service. 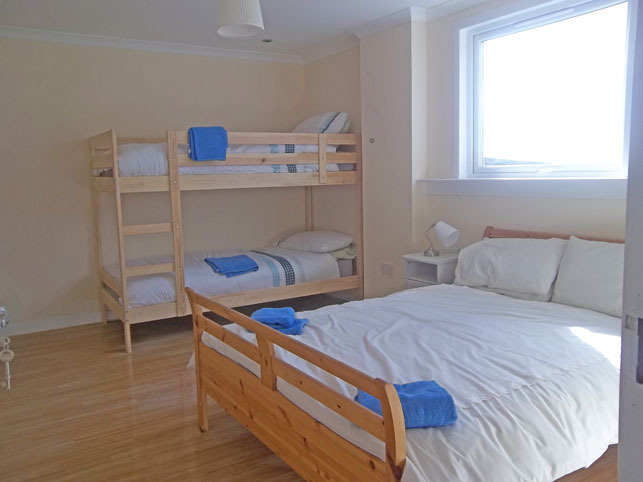 The site has all amenities including free satellite broadband Wifi and cycle hire. Disabled access, Cot & high chair, TV, DVDs, Freeview, Books & games, Dog walking area, Play park, Private patio, Barbecue, Central heating, sea views Free Wifi Linen and towels provided. Electricity included in price. Pets welcome.